Save the dates: 19th and 20th of July! These are the days when the city centre of Birmingham will be, literally, on fire! 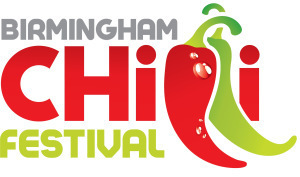 More precisely in Brindley Place area, where the traditional and very much popular, Birmingham Chilli Festival will be taken place this year. An event for those interested in chilli-inspired food! If you're around Birmingham this weekend, it will be just the perfect opportunity to try some cooking samples and cocktails offered by several restaurants and independent local food businesses. Handmade Burger Co; Chilacas; Island Bar and many others are going to be in charge of food and drinks supplying. I'm particularly interested to try the delicious Brigadeiros (Brazilian chocolate sweets) prepared by Miss Apple Sweet. Brigadeiros are truly Brazilian delicacies that in its chilli version will be just the highlight of my visit to this amazing festival. I can't wait to try them! Why? Chilli food is just delightful!